Jettblack have announced they have released their new single ‘Explode’ along with a video to accompany the track. 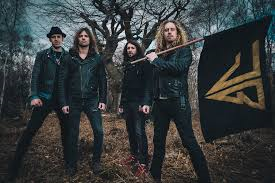 The band will also be releasing their third full length album ‘Disguises’ in April on Cherry Red Records and follows on from previous releases ‘Get Your Hands Dirty’ (2010), ‘Raining Rock’, (2012) and the mini album Black Gold (2013). ‘Explode’ starts off with a slightly southern style before delicious hooks and riffs burst into the track along with edgy vocals. With their latest single, Jettblack have released an excellent track full of melodic rock.